Specipig will be present at Biospain 2016, the most important biotechnology event in Spain, at Bilbao from the 28th to the 30th of September, with Contract Research Organization (CRO) services and the line of miniature pigs Specipig®. Integrating in one facility the breeding and the research services, enables a more flexible service and reduces logistic costs. The high knowledge and care of the technical professionals, veterinarians and farm managers, reduces stress on the animals and contributes to offer a better know-how on the experimental model. Specipig has 5.000 m2 facilities at Barcelona, of which 600 m2 are the breeding and research buildings and the operating room. Biospain is organized by the Spanish Association of Bioindustries (Asebio) with the collaboration of the Industrial Promotion and Reconversion Society (SPRI) and the Basque Government. The last edition, in 2014, more than 1.850 delegates and 850 companies of 37 different countries were present. 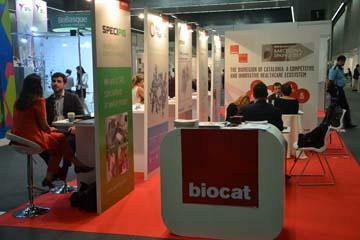 Visit us at Biocat’s booth!